This opinion stuck with until my move to England, where I found it incorporated into all number of desserts, usually served with custard or cream. And thus only recently did I discover the joys of fresh summer rhubarb, made better still by combining it with sugar, rolled oats, and cinnamon. The crumble or crisp being one of my favorite desserts, when Mark Bittman came up with this easy beauty of a rhurbarb crumble, I couldn't pass it up. 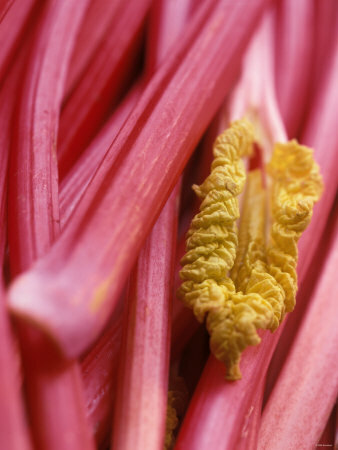 Although it was in season when I made this, I still worried that my "Tesco-sourced" rhubarb would be too tart for the scant amount of sugar that Bittman includes with the recipe. So I upped it by about 1/4 cup.